An exclusive hotel in Paris opened his doors for Canal-luxe. This morning at 8 o’clock, the futur Cheval Blanc Hotel of LVMH opened its east side doors (the sun always rises on the east) to Canal-Luxe. 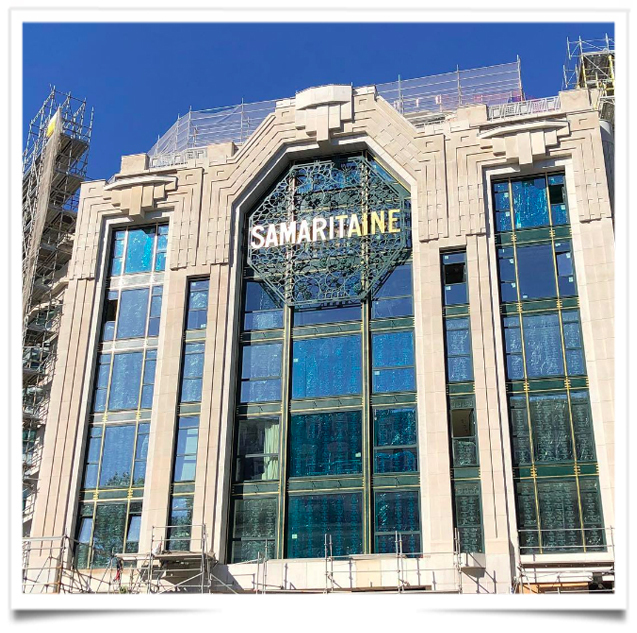 We were all excited to discover the fabulous Art Deco building better known by the parisian by La Samaritaine. A decade ago, the group LVMH bought the department store, La Samaritaine to build which would be soon become the next place of the luxe. It was a long process to come to the end of that project. But as we already stated a few years ago: Paris downtown will soon belong to Monsieur Bernard Arnault and to his group LVMH. He has regrouped around la Samaritaine most of his most famous brands. It would soon become the new golden place for shopping in Paris. For this project he succeeded to get the tunnel closed, pedestrian streets around La Samaritaine. It is the proof that when Monsieur Arnault dreams big as a galaxy, his dreams become reality. This entry was posted in BREAKING MODE, BREAKING NEWS, PARIS FASHION WEEK 2019, pfw and tagged LVMH by admin. Bookmark the permalink.